This exhibition and its related events (curated by the artist-run super PAC, For Freedoms), highlights the work of six artist collectives as an investigation into the collective as a mode for artist production. Among these collectives is international photography collective Piece of Cake, of which FSU Art Professor John Mann has been a member since 2009. 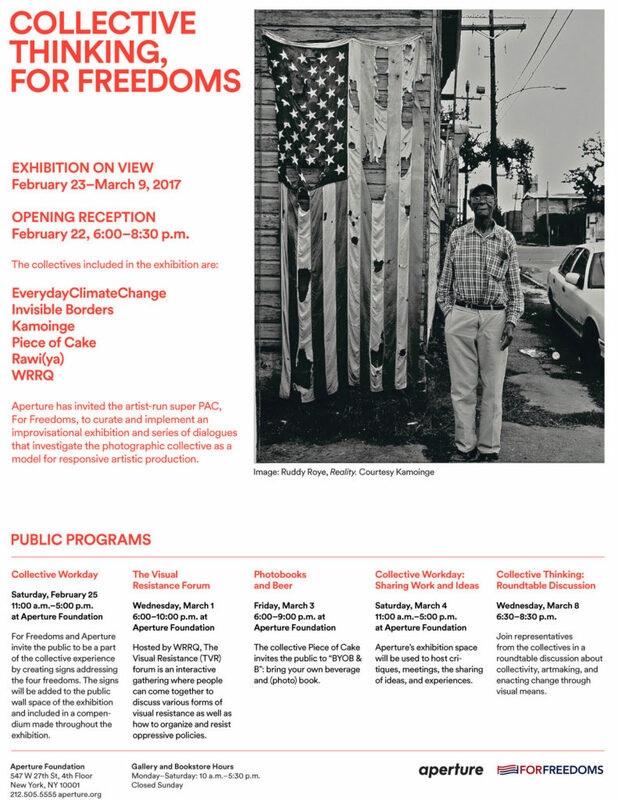 The exhibition is set to run until March 9th. For more information, please visit Aperture’s website.